Twitter as a timeline application for the interests you have been subscribed. In may be ~10 minutes you get complete day history and your favorite subscribe user’s update. User growth has been climbing steadily and timeline is becoming more and more useful to users. 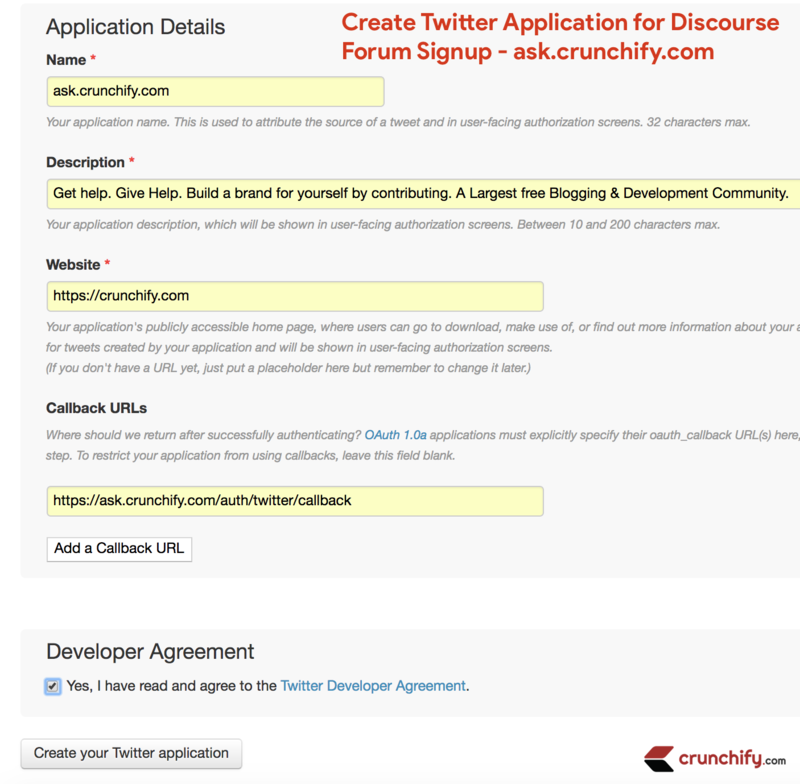 At Crunchify, we get lots of update on Twitter most of the time. 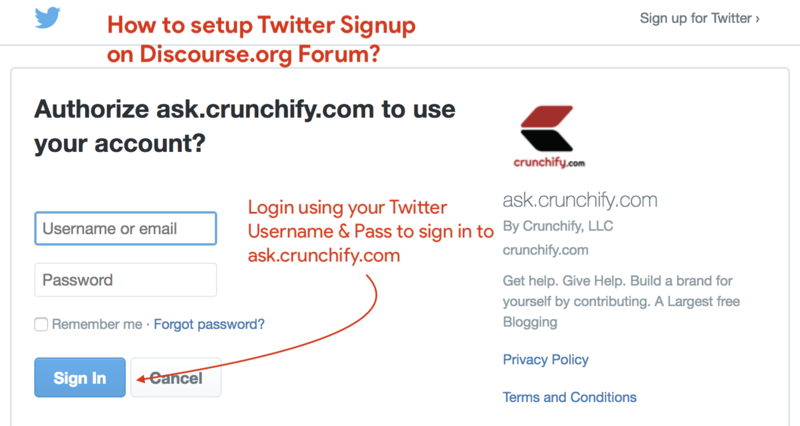 As you may have noticed recently, we launched https://ask.crunchify.com sometime back, we wanted to have Twitter login integration with it from beginning. Finally yesterday we got chance to integrate it. Here are detailed steps which you would be interested in if you are exactly in the same boat. Now go to Settings tab. 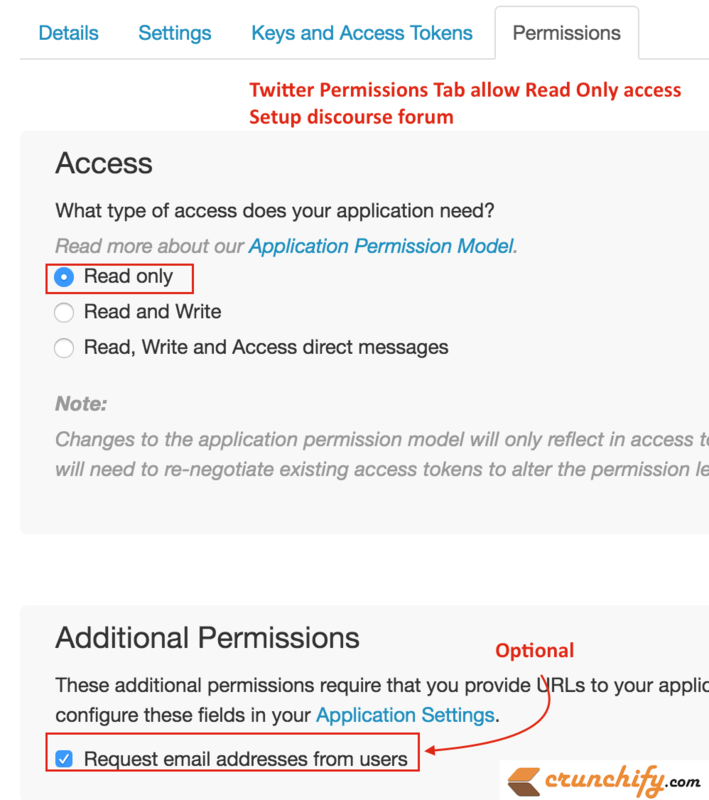 Now Click on your forum’s Sign Up button and you should be able to get sign up using Twitter account. 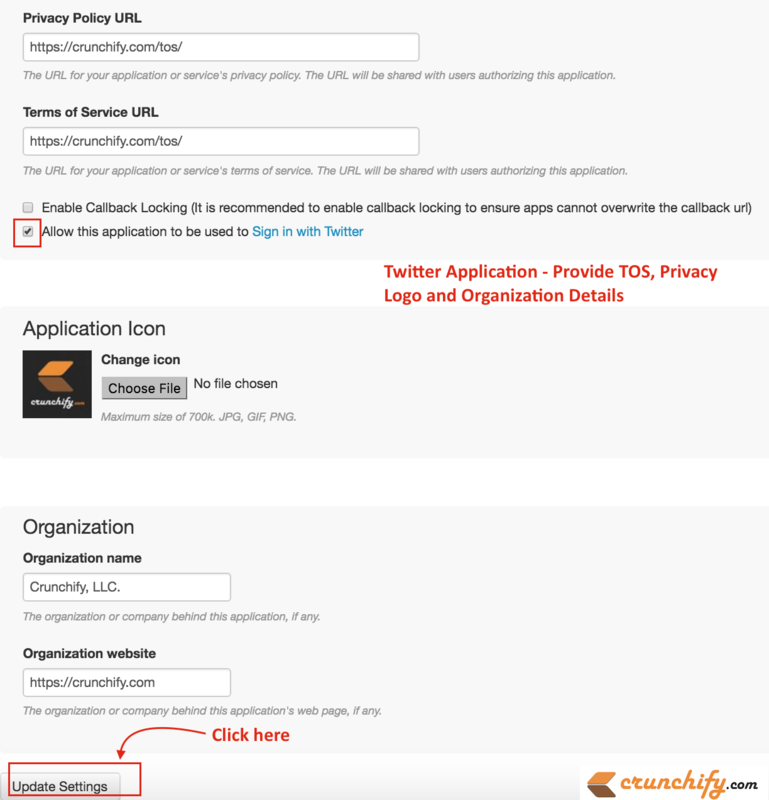 Just follow simple steps on screen.